Based on 1402 customer ratings. Take a bite of Giordano’s pizzas and dishes and we think you’ll agree that you’ve gone to pizza heaven! Stop by our South Blackstone Avenue location and try us for yourself. Prefer eating at home? Order for pickup or delivery! If you’re looking for a flaky, pie-like crust filled with the freshest and finest ingredients — and constructed with a nearly obsessive vision of perfection — welcome to Giordano’s, home to the best deep dish pizza in the Chicago region! We construct each pizza layer by layer with help from no fewer than 6 artisans trained in the art of making the perfect deep dish pie. 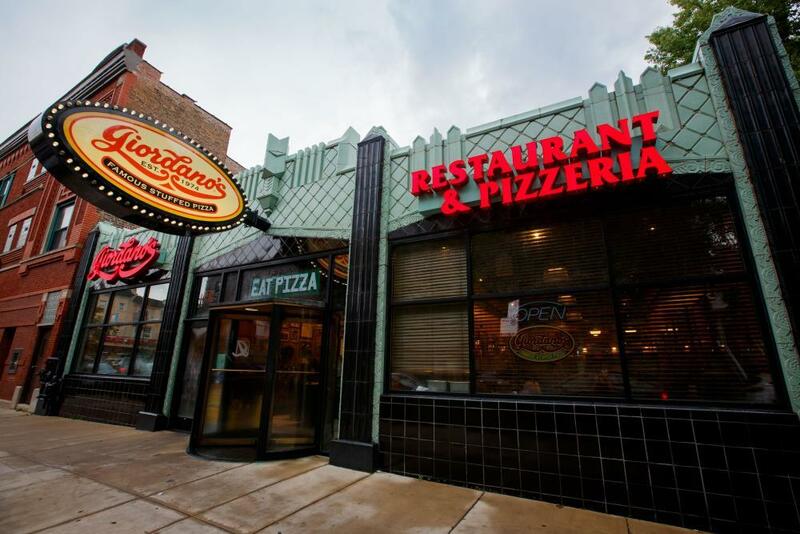 Giordano’s is more than the best pizza place in Hyde Park — we’re a Chicago legend, and a tradition you and your family can cherish. Did you know it takes 6 artisans to construct just 1 Giordano’s pizza? We adhere to old world techniques born from a family heritage that treasures the flakiest crust, filled with the most flavorful ingredients and slow-baked to a pie-like perfection. We tenderly layer fresh meats, the ripest tomatoes and delicious vegetables alongside the fluffiest Wisconsin mozzarella — a cheese made only for us. Take a bite of our deep dish pizza and we think you’ll see why Giordano’s is the best pizza delivery and restaurant in Hyde Park! If you’re looking for pizza plus a little something extra, check out our full menu! We have mouth-watering pasta dishes, a range of specialty Italian sandwiches, fresh salads and gluten-free options that are perfect for every customer!